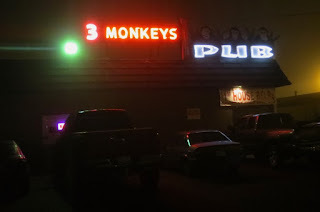 Just over the river from hipster Portland, Vancouver, Washington bars seem like they are lost in time. There are hair bands on the big screen, and The Macarena is still huge. This is very evident in the classic suburban strip mall pub the Three Monkeys. The space has no particular personality, but a lively crowd is there doing Jaegar bombs, jello shots, and whip cream in flavored vodkas.